15 goalkeeping equipment items you need but probably don’t have. 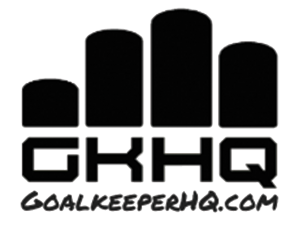 Here is a checklist of goalkeeping equipment ( apart from the obvious ones ) that all goalkeepers should have. with a long visor is important to keep you from having to frown throughout the game. Used primarily when the ball is in the oppositions half. Thermal undergarment – A dedicated goalkeeper will be practicing and playing in all weathers. It is important that you are able to perform to your best at all times, and if you are freezing cold, this is hard to do. Storelli also provides a GK specific padded undershirt – You can get 20% off the order by adding “Leon” to the coupon code. Compression Baselayer leggings – Worn by all my college goalkeepers and also seen when watching pro’s train. These compression leggings provide a good base layer for all conditions to protect muscles and restrict abrasions from the floor surface. Baseball slider shorts with padding – Essential for any goalkeeper playing on turf or rough ground. These can be used instead of goalkeeping pants or in addition to. The tight fit stops abrasions on the upper leg. Our partnership with Storelli enables you to get 20% off each purchase with “Leon” in the coupon code – See here for their selection of padded shorts. Electric tape – Used over socks to keep shin guards in place, and to stop them from slipping down to the foot which then affects kicking. Sweet spots – For goalkeepers that struggle to keep laces done up or those that find that the loops of the laces are so big that it could lead to tripping. Thin sweatshirt – Not only does this long sleeve garment keep you warm during those colder days, the extra layer under the goalkeeping shirt adds bulk to make you feel physically bigger. The extra padding that the sweatshirt provides also helps take the sting out of those harder point-blank shots. Ensure that you can still move freely, however. Glove Glue – After being skeptical, I have to say that it serves its purpose of revitalizing partially worm gloves. Squeezy bottle – reviewed here. Vital for keeping gloves damp and ensuring mouth is moist for communication. Foam roller – I love my foam roller. Great for getting into tight hip-flexors used when kicking and glutes used when diving. Great for stretching out the back and the IT band which every sports player suffers from tightness. Soccer Pump – Practice as you mean to play. If you are practicing with a flat soccer ball, it does not relate to how you would save in a game and reduces the effectiveness of the practice. Be ready to pump other people’s balls up too. Stretching strap – Every goalkeeper I have coached has tight muscles. This strap is perfect for all sorts of stretches, not just the hamstrings which seems to be the tightest.